"Written by the son of Mark Rothko, these essays contains some of the most psychologically poignant and moving insights about the artist to date. Christopher Rothko deconstructs all pieces of his father's legacy—his early figure works, his multiforms, his undeniable humor, the legendary Seagram murals, the Rothko chapel in Houston, the ramifications of his suicide (and the narrative of the tortured artist), and the color fields that pioneered a movement." Section Art / All Staff Suggestions / Non-Fiction Suggestions / Spencer R.
“The journey to understand the painting is also the journey to understand Rothko, because the work is so thoroughly suffused with the man.”—Christopher Rothko Mark Rothko (1903–1970), world-renowned icon of Abstract Expressionism, is rediscovered in this wholly original examination of his art and life written by his son. Synthesizing rigorous critique with personal anecdotes, Christopher, the younger of the artist’s two children, offers a unique perspective on this modern master. Christopher Rothko draws on an intimate knowledge of the artworks to present eighteen essays that look closely at the paintings and explore the ways in which they foster a profound connection between viewer and artist through form, color, and scale. The prominent commissions for the Rothko Chapel in Houston and the Seagram Building murals in New York receive extended treatment, as do many of the lesser-known and underappreciated aspects of Rothko’s oeuvre, including reassessments of his late dark canvases and his formidable body of works on paper. The author also discusses the artist’s writings of the 1930s and 1940s, the significance of music to the artist, and our enduring struggles with visual abstraction in the contemporary era. Finally, Christopher Rothko writes movingly about his role as the artist’s son, his commonalities with his father, and the terms of the relationship they forged during the writer’s childhood. 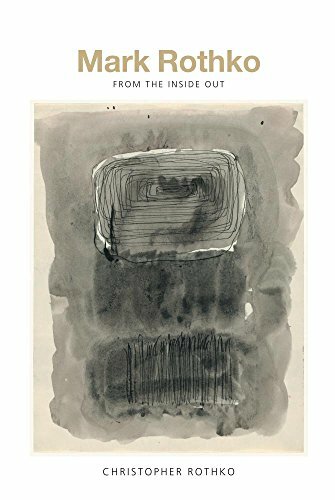 Mark Rothko: From the Inside Out is a thoughtful reexamination of the legendary artist, serving as a passionate introduction for readers new to his work and offering a fresh perspective to those who know it well.